Sherwin represented Walsall schools, and was selected for the first England schoolboy international v Wales in 1907. 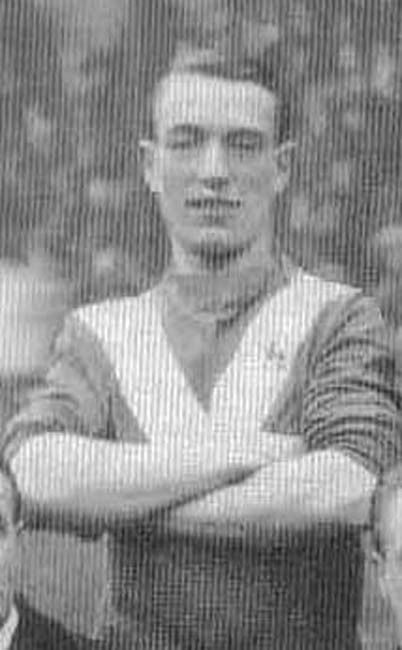 He started with West Midlands Darlaston in the Birmingham Combination League, before joining Sunderland in December 1913. He managed just eight League appearances at Roker Park before the onset of World War One. Sunderland, like Newcastle United, refused to take part in any games for the duration of the war and so Sherwin joined Sunderland Rovers for the 1915-16 season. He then guested with Leeds City for the rest of the First World War. He was one of the cornerstones on which the strong City team was built and he played ninety-one games and scored nine goals in the three seasons he was there. Leeds City finished top in 1916-17 and 1917-18 and fourth in 1918-19 and Sherwin was in the City team which beat Stoke to claim the title of unofficial champions of England in the 1917-18 season. After the war he returned to Sunderland and played another twenty games after the Football League fixtures were recommenced before he joined Second Division Leeds United in May 1921. He was in the United team that won the Second Division as Champions in 1923-24 and finished up scoring twice in ninety-eight League games for United.He moved to Second Division Barnsley in March 1925 and played fourteen games before retiring in 1926. He returned to Elland Road as Assistant Trainer in June 1926 and later was the Bradford City Trainer from 1936. He died in Leeds on 8th January 1953 at the age of fifty-nine.